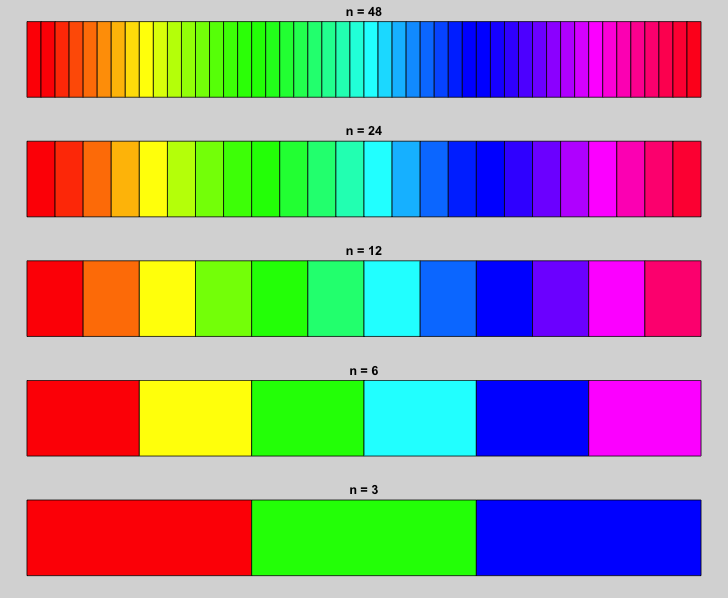 Color ramp functions in R simplify color selection and assignment. Visual reference examples are provided to illustrate their use and flexibility. 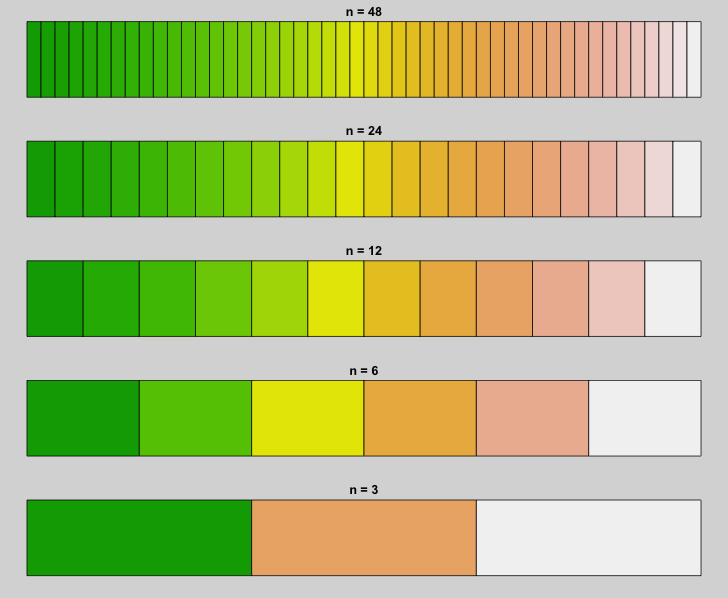 The rainbow() ramp is is the standard light spectrum with red, green and blue as its base. The functional form is rainbow(n, s=1, v=1, start=0, end=max(1, n-1)/n, alpha=1). 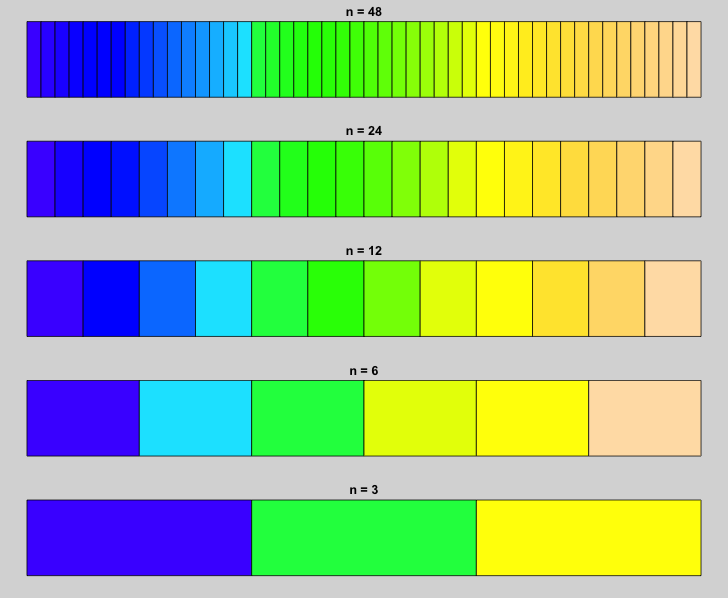 The s and v values correspond to saturation and value from the HCL color scheme (described below). 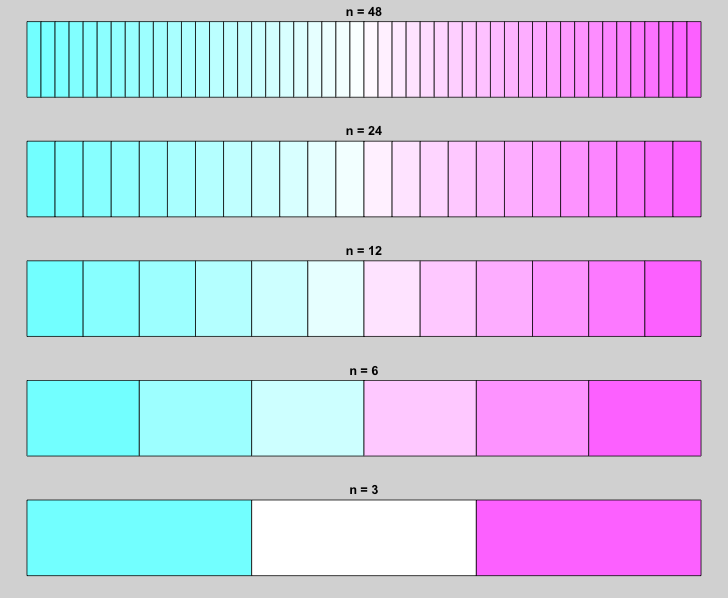 The parameters start and end can be used to specify particular subranges of hues. The following values can be used when generating such a subrange: red = 0, yellow = 1/6, green = 2/6, cyan = 3/6, blue = 4/6 and magenta =5/6. 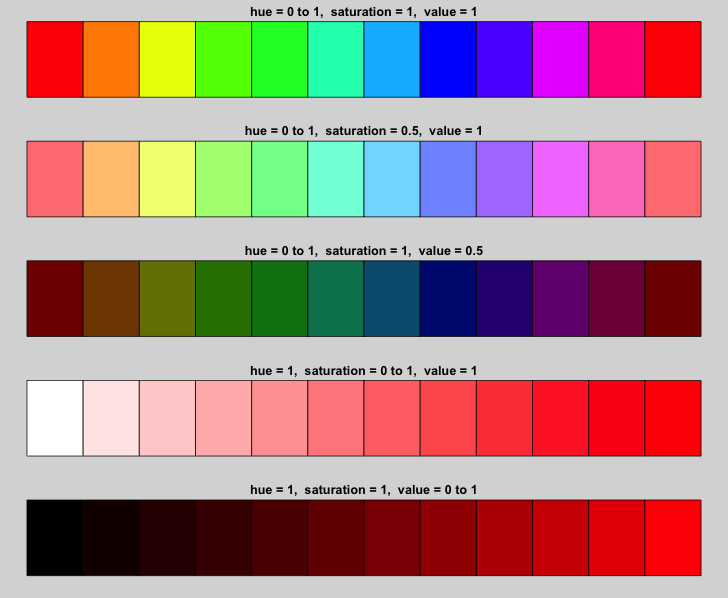 The hsv() function uses values of hue, saturation, and value (ranging from 0 to 1) to specify a color. The function accepts either a single values or vectors of values, and returns a vector of hexadecimal values. The function has the form hsv(h=value, s=value, v=value, gamma=value, alpha=value). In general, hsv() is very flexible and can be used to replicate results from other color ramp functions.